In recognition of the pivotal role that mentors play in supporting undergraduate research and creative activity, the Office of Undergraduate Research is pleased to announce the recipents of the 2019 Mentorship Excellence Awards. These awards recognize two faculty members – one in a STEM field, and one in a non-STEM field – and one graduate student who exemplify the ways in which outstanding mentors challenge and support their students, enabling them to take intellectual risks and achieve milestones they might not have initially envisioned being able to reach. The 2019 Mentorship Excellence Awards were presented to Seok-Woo Lee, Charles W. Mahoney, and Elizabeth Knapp during the Frontiers in Undergraduate Research Poster Exhibition on Friday, April 12, 2019. 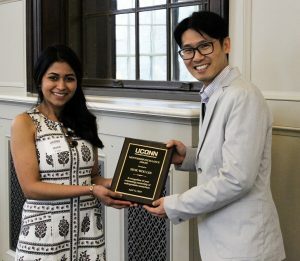 Professor Lee’s award was presented by Hetal Patel ’19 (ENG). The following text is excerpted from Hetal’s presentation remarks. Hetal Patel ’19 (ENG) presents the award to her mentor, Professor Seok-Woo Lee. 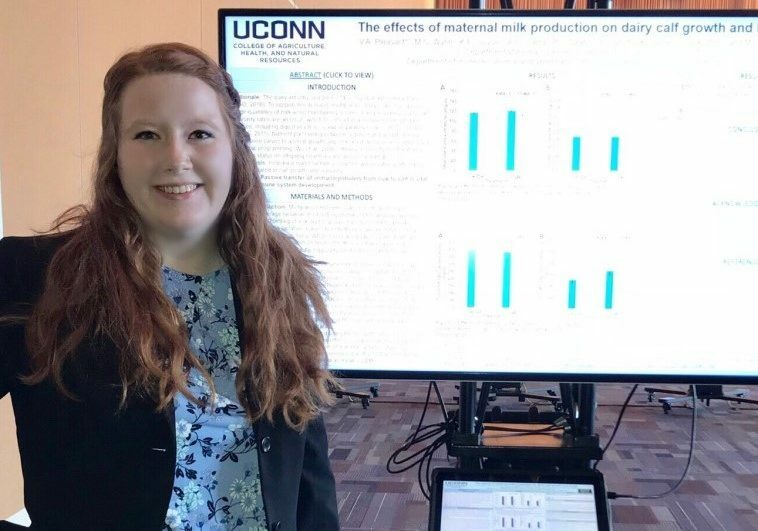 When I started at UConn in the School of Engineering, I had set a benchmark by which I would define my success in the next four years, and that was to have a full-time engineering job ready before I graduated. In my first semester, I noticed many of the undergraduates do research, particularly in the honors community, and so I decided it would be a good idea to join a lab and to learn more about my field. I reached out to many professors and it was Dr. Lee who showed an interest in me joining his group. This is where my story took off. During our very first meeting, his passion for science, his care towards his students, and his immense positive energy became clear. In the last four years, this hasn’t changed a single bit. We have been meeting 1×1 every single week and his care and kindness towards me have been a steady source of motivation. On the technical side, he has trained me to have a strong foundation and has taught me to be patient and think divergently because things don’t go as planned in research. He gave me projects that led to publication in high impact journals and also gave me the opportunity to present my UScholar work at one of the biggest Materials Science conferences. He always encouraged me to try other labs or internships and when it came to applying for graduate schools, he always said to aim higher. He has been a constant support when it comes to writing papers, thesis, posters, or applications, whether it was for UScholar, fellowships, summer programs or graduate school. Overall, he has changed the trajectory of my career through his energy, passion, and care. I have exceeded all my academic expectations for myself in the last four years due to Dr. Lee’s immense commitment to mentor me. He has dedicated hundreds of hours towards me in a selfless manner and has worked far beyond his required duties for me to be here. He works so incredibly hard that it inspires me to work even harder. To end, I am happy to say I will be heading to UC Berkeley this fall for my Ph.D. in MSE on a prestigious Department of Defense fellowship. Clearly, my goals and benchmark have changed, and I owe that to Dr. Lee. If I hadn’t met him I would have never thought of applying for University Scholar or have decided to pursue a Ph.D. Having him as my research advisor is the best thing that happened to me at UConn. Dr. Lee is the highlight of my day and his mentorship is the hallmark of my UConn career. Professor Mahoney’s award was presented by Lauren Cenci ’19 (CLAS). The following text is excerpted from Lauren’s presentation remarks. 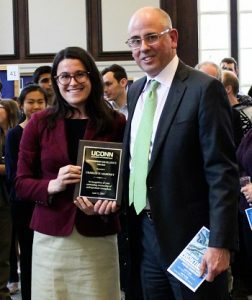 Lauren Cenci ’19 (CLAS) presents the award to her mentor, Professor Charles W. Mahoney. Describing Professor Charles Mahoney’s extraordinary mentorship to me over the past several semesters in just a few short remarks is a difficult task. His passion for what he does is unmatched and very evident to anyone who has taken a class with him. I first met Professor Mahoney during my second official semester as an English major, during which I enrolled in his advanced poetry course on Lord Byron. I entered that course with little direction and confidence in myself as an English student but exited with a strong sense of purpose and a heightened awareness of English poetry. Professor Mahoney sees the best in each of his students and pushes them to strive to achieve this. He has high expectations of his students because he is aware of their potential and as such will not accept anything short of their finest work. Charles is the chair of my University Scholar Project on the elegy, a genre of poetry that deals with mortal loss and mourning; I have completed two independent studies with him and am currently finishing up my thesis project this semester with his diligent guidance and feedback. The type of work I have pursued with Charles made me realize that I want to pursue a graduate degree in English and this fall I submitted applications to various universities. Throughout the summer, Charles read several drafts of both my critical writing sample and personal statement, provided in-depth feedback on both documents, and met with me on multiple occasions to discuss my progress. I most certainly would not have had the confidence to apply to graduate school had he not made me aware of my potential and research prowess. Although Charles is very tough on his students and holds them to high standards, he is one of the kindest and most caring professors I have ever had the privilege of working with. It is rare to encounter a professor of his caliber, and I am extremely grateful for the opportunity I’ve had to work with him and grow as a student and a scholar with his guidance. Despite being an extremely busy individual, he has never made me feel as though my work is unimportant; each meeting and correspondence I have with him feels like a priority. This upcoming fall I will be attending graduate school, and I firmly believe that Charles’s exceptional mentorship has both gotten me to this point as well as thoroughly prepared me for what lies ahead. Elizabeth was presented with her award by Ekatarina (Katya) Skaritanov ’20 (CLAS) and Celina Caetano ’19 (CLAS), two of the undergraduate researchers who work under her supervision in the Sun lab. The following text is excerpted from Katya’s presentation remarks. 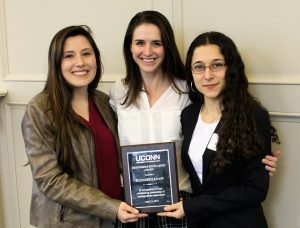 Ph.D. candidate Elizabeth Knapp (center) is presented her award by mentees Ekatarina Skaritanov ’20 (CLAS), at left, and Celina Caetano ’19 (CLAS), at right. Over the past year I have had the absolute pleasure of working with Liz Knapp in the Sun Lab. Her intelligence, passion for teaching, and kind heart inspire me to put my best foot forward and not give up even when experiments don’t go according to plan. I can confidently say that without Liz I would not be the scientist I am today. One of the most important lessons she taught me is that making mistakes only makes you a better researcher. After all, it is only through failure in the lab that one can develop patience and perseverance, which are key to successful research. I have witnessed Liz’s passion for teaching through how much she cares about everyone she works with. Whether she is at her computer making figures, or at the microscope doing experiments, I know that I can approach her with a question and get a thoughtful answer. No matter how busy she is, she will always make time to explain things in multiple ways to ensure you understand the logic. Liz does not only make sure that you understand WHAT you’re doing, but also that you understand WHY you’re doing it, which is imperative to leading a successful independent research project. For a long time when I first started in lab I felt like I had no idea what I was doing. Even though I had my own project, I felt lost because I didn’t fully understand all the background and jargon behind my work. However, during one of our first sessions at the confocal microscope and probably without even realizing it, Liz raised my confidence and self-esteem by telling me that she was once in the exact same position I was in and that soon everything I feel like I don’t understand will naturally fall into place. Liz, thank you for being the epitome of what a strong and confident woman in science looks like. Thank you for pushing me to be the best that I can be, and putting up with all my questions even when I ask you the same one five times in a row. Thank you for being a good friend, and most of all thank you for infecting us all with your love and excitement for science. Congratulations to the 2019 award recipients! The Office of Undergraduate Research thanks the undergraduate students who nominated their faculty and graduate student mentors as well as the Peer Research Ambassadors who served on this year’s selection committee. • Congratulations, Fall 2018 UConn IDEA Grant Recipients! Congratulations to the 11 UConn undergraduates who have been awarded UConn IDEA Grants in the fall 2018 funding cycle! The award recipients represent a variety of disciplines, from English to materials science, and from biological sciences to design and technical theater. They will conduct independent research, develop creative works in different media, and initiate programs that engage the University community. Click here to view the full list of fall 2018 UConn IDEA Grant award recipients. Special thanks to the faculty and staff that supported student applications to the UConn IDEA Grant and to those who will be mentoring the award recipients as they complete their projects. 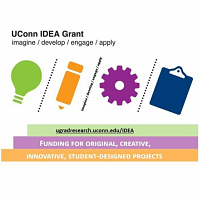 The UConn IDEA Grant program awards funding to support self-designed projects including artistic endeavors, community service initiatives, research projects, prototyping and entrepreneurial ventures, and other creative and innovative projects. Undergraduates in all majors at all UConn campuses can apply. Applications are accepted twice per year from individuals and from small groups who plan to work collaboratively on a project. The next application deadline is March 11, 2019. Undecided about how to spend your summer? Consider an undergraduate research program or research internship hosted by a research institute or university. Many summer research programs and internships, including those listed below, are accepting applications through late February or early March. There is still time to prepare a personal statement, gather application materials, and secure letters of recommendation. This summer REU program is targeted towards undergraduates with an interest in the application of nanotechnology and nanomaterials to various societal needs. Undergraduate STEM majors who have completed at least one year of undergraduate study are eligible to apply. $4,000 stipend, free housing and a meal plan. Stipend $600/week for the 12-week internship period. Internship opportunities through this program focus on digital imaging, media preservation, digital preservation of personal and community objects, collections information management, and recording and preserving oral histories. Interns will be located onsite with the National Museum of African American History & Culture and offsite at select African American museums, museums of Historically Black Colleges and Universities, and other institutions dedicated to preserving African American history and culture. Fifteen students are selected to conduct marine research on the Chesapeake Bay at one of two University of Maryland Center for Environmental Sciences laboratories. The program is designed for students majoring in marine science, ecology, environmental science, biology and chemistry. Preference given to students who are rising seniors. $6,000 stipend and housing costs are provided. The program is designed for students with an interest in plant pathology, horticulture, crop genetics, entomology, or agronomy. Students must identify the projects they are most interested in working on as part of the application process. This Research and Extension Experience (REEU) program is funded by the USDA National Institute of Food and Agriculture. $4,900 stipend, housing, and meals provided. Students selected for this REU program will work with faculty mentors in the Cornell Institute of Host-Microbe Interactions and Disease (CIHMID). The program provides training in the concepts and experimental approaches needed to understand microbial interactions with eukaryotic hosts. Stipend of $5,750, on-campus housing, and meal allowance. The Summer Undergraduate Research Fellowships in Oceanography program is a 10-week research experience designed for science, math, and engineering students who will be seniors in Fall 2019. The program emphasizes the quantitative aspects of Oceanography; many projects involve fluid dynamics, marine geophysics, or numerical/physical modeling. $5,500 stipend. This program provides undergraduates from diverse backgrounds the opportunity to conduct research under the guidance of a faculty mentor. Wide variety of academic disciplines; $3,000 stipend, free on-campus room and board. Applicants should be rising sophomores and juniors. These 10-week summer internships offer undergraduates the opportunity to work on research projects with staff in MCI’s technical studies and research group. MCI is the center for specialized technical collections research and conservation for all Smithsonian museums and research centers. Applicants should specify preferred advisors (from the list on the website) in their applications. This internship offer undergraduates the opportunity to gain exposure to and experience in the daily operation of a history museum, library, and research center. Selected interns will work closely with museum professionals to gain a deeper understanding of the museum, library and history fields. Interns must complete 250 hours of work. $1,700 stipend. 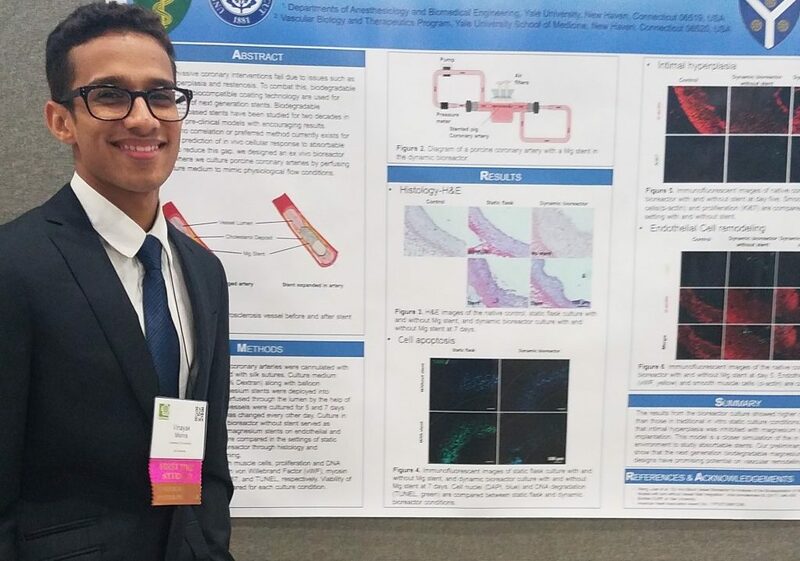 HRP student Brian Aguilera ’19 (CLAS) working with his UConn Health mentor, Dr. Mallika Ghosh, Center for Vascular Biology. The Office of Undergraduate Research is pleased to announce the next phase of the Health Research Program (HRP). This program offers a pathway into undergraduate research for students with interests in health and/or the biomedical sciences. 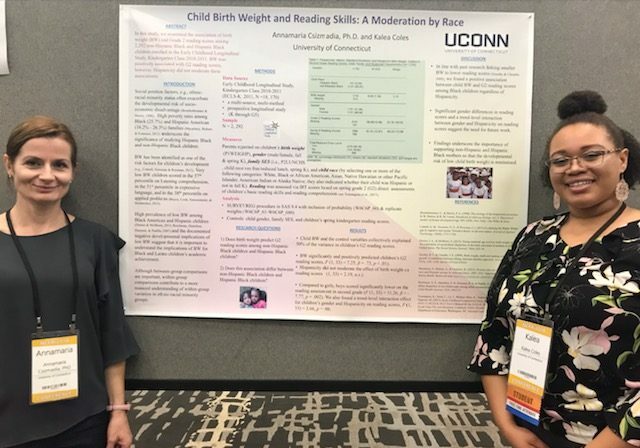 By facilitating connections between UConn Health researchers and UConn undergraduates, the program aims to involve more students in research at UConn Health. Summer 2019 opportunities are now posted on the HRP website. There are 31 opportunities that range from public health to biological modeling, biomaterials to neuroscience, genetics to psychiatry. The application deadline for these opportunities is 11:59pm on Monday, February 4, 2019. All of these opportunities are slated to continue into the 2019-20 academic year. Continuation is contingent on satisfactory progress over the course of the summer and both student and faculty mentor interest in continuing the placement. To be eligible for Summer 2019 HRP opportunities, students must plan to graduate no sooner than May 2020. Further details and answers to frequently asked questions are available on the Health Research Program website. Students are encouraged to peruse the posted opportunities and begin preparing application materials for any placements of interest. We urge students to take care to consider the time commitment and schedule options involved in a given opportunity to ensure that they can accommodate these demands in their summer and academic year schedule. Interested in spending the summer engaged in an exciting research project? Although February is fast approaching, there is still time to apply for summer research opportunities in a variety of areas including those listed below with February deadlines. The Amgen Scholars Program, a competitive summer program providing undergraduate students the opportunity to work full-time on independent research projects under the guidance of a research scientist, is hosted at thirteen institutions in the United States. Each host institution has its own application process; visit the links below for information on each institution’s program. The application deadline for all programs (except Caltech) is February 1, 2019. Applications for the Caltech program are due February 15th. Amgen research is conducted in fields including biochemistry, bioinformatics, biotechnology, chemical and biomolecular engineering, chemistry, immunology, medical pharmacology, microbiology, molecular biology, molecular genetics, molecular medicine, molecular pharmacology, neurobiology, neuroscience, pathology, physiological psychology, physiological science, statistics, and toxicology. Funding levels vary by program but most include a stipend (between $3,500 and $6,500), a housing and/or meal allowance, and travel expenses. 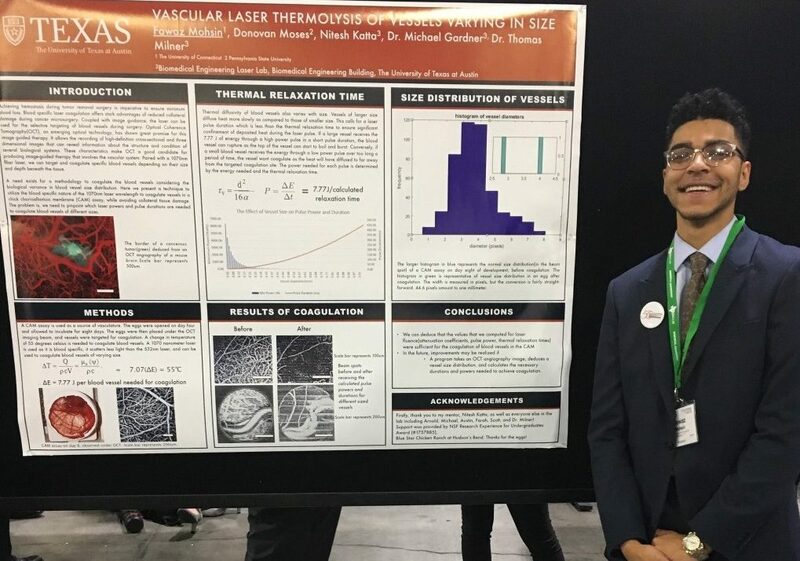 The School of Medicine and Biomedical Sciences offers a summer undergraduate research program for students in their junior year (at the time of application). Offers extended to only 6-8 students; $3,500 stipend and housing provided. 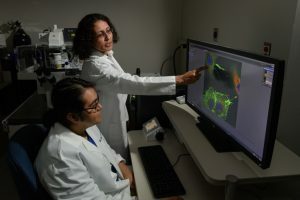 This program, sponsored by the National Institute of Biomedical Imaging and Bioengineering (NIBIB), is targeted at undergraduate biomedical engineering students who will be between their junior and senior years in summer 2019. This program is a subprogram of the Summer Internship Program (SIP). 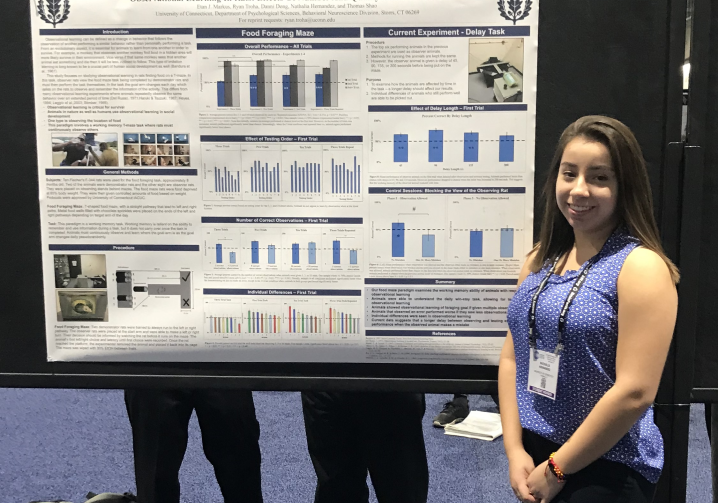 Students will participate in biomedical research projects under the direction of scientists at NIH laboratories in Bethesda, MD. The Medical Scientist Training Program at UC San Diego is designed for students interested in learning about a career as a physician-scientist. The program features an 8-week research project, weekly seminars, and a physician-scientist clinical shadowing experience. Students from groups underrepresented in health-related sciences and individuals from disadvantaged backgrounds are encouraged to apply. $3,200 stipend and room provided. This 10-week summer research program is for students majoring in chemistry, biology, or a related field. Applicants should be between their junior and senior years (in Summer 2019) and have a strong interest in pursuing post undergraduate study. Students should be specifically interested in pursuing a PhD, MS, MD, MD/PhD, DNP, DPT, MPH, or PA. $3,500 stipend and housing provided. This 10-week program offers pre-med students an introduction to research methodology, patient treatment, and ethical issues in medicine. Applicants must be pre-med students completing their junior year as of May 2019. $2,600 award for selected students. The Summer Undergraduate Research Fellowship (SURF) Program at UT Southwestern’s Graduate School of Biomedical Sciences is designed for students interested in pursuing a Ph.D. or M.D./Ph.D. career in biomedical research. Applicants to this 10-week program must have completed their sophomore year in an undergraduate science degree program. $4,000 stipend. The Summer Undergraduate Research Fellowship (SURF) Program at UT Southwestern’s Graduate School of Biomedical Sciences is designed for students interested in pursuing a Ph.D. or M.D./Ph.D. career in biomedical research. Applicants must be enrolled in a physics, computer science, mathematics, biomedical engineering, or chemistry degree program and have completed their sophomore year. $4,000 stipend. The American Bar Foundation sponsors a program of summer research fellowships. The summer program is designed to introduce students from diverse backgrounds to the benefits of a research-oriented career in the field of law and social science. Open to students who will have completed at least two years of undergraduate study by the time the fellowship begins. Selected students will receive a stipend of $3,600. The Building Diversity in Biomedical Sciences (BDBS) Program offers a 10-week, mentored research experience for students interested in pursuing a PhD or MD/PhD. Participants in the program also receive training in written and oral communication of scientific data and learn about careers in biomedical science through workshops. Stipend of $4,000, on-campus housing and travel expenses within the US are provided. REU students will have the opportunity to contribute to a research project led by a center faculty member expanding their science and engineering experience. Students with an interest in nanomaterials and majoring in a science or engineering field are encouraged to apply. Participants receive a $4,500 stipend, a travel allowance, and on-campus housing. The Summer Student Fellowship provides undergraduates with an interest in ocean sciences, oceanographic engineering, mathematics, or marine policy with a meaningful first-hand introduction to research in those areas. Students who have completed their junior year prior to the start of fellowship period in summer 2018 are eligible to apply. Stipend of approximately $600/week for 10-12 weeks and institutional housing provided. This highly competitive, 10-week REU program pairs students with scientist mentors for a hands-on, independent research experience. Student applicants should have a minimum of one year of basic biology and at least one earth or ocean science course. Housing and $5,000 stipend provided. This NSF-funded research program is hosted by the Departments of Molecular Genetics and Microbiology and the Division of Biochemistry at Ohio State. Selected students will receive a $5,250 stipend and university housing. Students from groups historically underrepresented in the sciences are encouraged to apply. This 10-week program provides undergraduate students the opportunity to work on independent research under the direction of a SERC mentor. Research areas include environmental chemistry, marine and estuarine ecology, molecular ecology, and terrestrial ecology. Stipend $550/week. 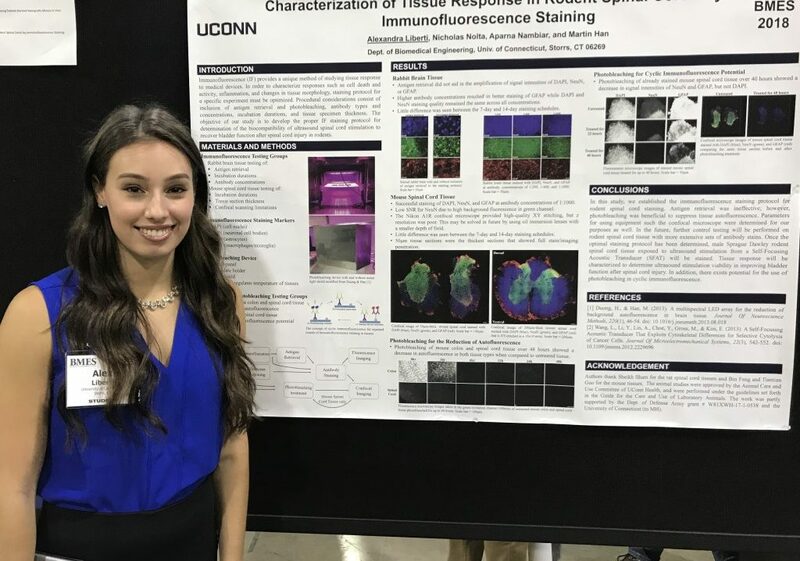 Please join us in congratulating the UConn undergraduates named below for their significant research and creative accomplishments in summer and fall 2018. Students: if you have an accomplishment to share, please do so using this online form. 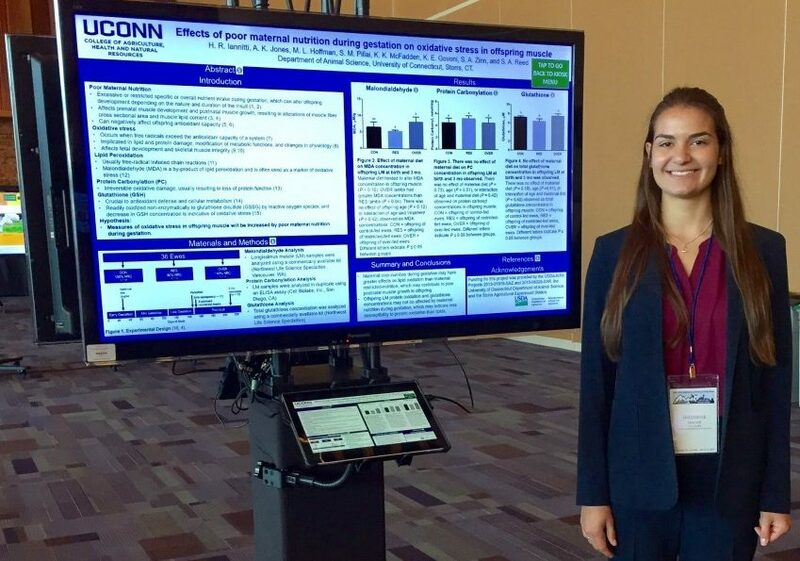 Jiana Baker ’20 (CLAS) conducted research in Dr. Sangamesh Kumbar’s lab in the Department of Orthopedic Surgery at UConn Health through the Health Careers Opportunity Program (HCOP) Summer Research Fellowship Program. Jiana presented her work “Novel Polymer-Nanotube Composites: Small Molecule Drug Delivery Systems for Peripheral Nerve Regeneration” at the HCOP poster session. Claudia Fernanda Pena-Sulantay ’20 (ENG) spent her summer in Nove Hrady, Czech Republic, engaged in a research project at the Center for Nanobiology and Structural Biology (CNSB). Her work on the project “Structural and functional analysis of the yeast K+ translocation system(s) encoded by TRK1 and TRK 2 genes” was part of the REU program in Molecular Biophysics sponsored by Princeton University. Tanya Miller ’20 (CLAS) engaged in structural biology research at the Laboratory of Structural Biology which is part of BIOCEV, the Biotechnology and Biomedicine Center of the Academy of Sciences and Charles University in Vestec, Czech Republic. She was supervised by Dr. Cyril Barinka during the 5-week summer program. With the SURF 2019 application cycle underway, we would like to take the opportunity to highlight some updates and changes to this year’s SURF program. 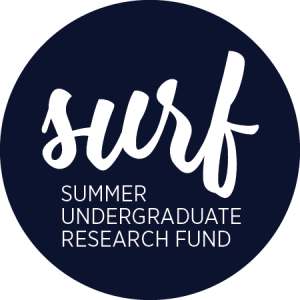 SURF continues to offer students from across the academic disciplines the opportunity to focus full-time on a research or creative project for 9-10 weeks over the summer. We are using the UConn Quest Portal, a new application management system powered by SurveyMonkey Apply, to collect, process, and review SURF applications for summer 2019. This new system will allow students to complete the various components of the SURF application in the most appropriate order for them and to make edits as needed prior to submission of their application. Quest Portal. Students intending to apply to SURF should initiate an application in the Quest Portal as early as possible at https://quest.uconn.edu/prog/surf/. The Quest Portal User Tips page addresses common user questions related to Requesting a Recommendation, Modifying a Complete Task, and Submitting an Application. Additional help documentation is available within the system by selecting the “I” icon in the top right corner. Letters of Recommendation. As before, two letters of recommendation are required for the SURF application. Student applicants must request recommendation letters through the application system by entering the name and email address of the faculty members who have agreed to write letters on their behalf. The system will send the recommenders an individual link for recommendation submission. Faculty recommenders will receive an email from the Quest Portal on behalf of the student who is requesting a letter of recommendation. Both first and second recommenders will submit their letters through the portal by uploading a PDF file. Faculty who are serving as the project supervisor (1st recommender) will also be asked to answer a series of research compliance questions. Budget reminders. Students should visit the Budget Policies and Samples page for detailed guidance about allowable expenses (now including maximum dollar amounts for expenses like poster printing) and examples of budgets that show the appropriate level of detail. Student requesting stipend as part of a Plan A or Plan C budget should be careful to use accurate stipend language as noted on the Budget Policies page. Faculty advisors of students conducting laboratory research: Please work with your advisee to ensure s/he has accurate information about the costs of lab supplies that can be procured through university purchasing channels and contracts. Timeline reminders. Student should visit the Sample Timeline page for guidance on developing a detailed timeline. The SURF proposal timeline should clearly indicate start and end dates, the anticipated number of project work hours each week, and a week-by-week listing of planned project milestones. Research Compliance reminders. Students and faculty should note that research compliance approvals are complex and take significant time. Please plan accordingly. While the necessary approvals are not required at the application stage, students should be aware that SURF funding will not be disbursed until all necessary compliance documents have been submitted to OUR, and that SURF awards will be rescinded if documentation is not received by the stated deadline. Both faculty and students are reminded to take care in reading the series of questions concerning biological materials as this category encompasses a wide range of items. Students proposing SURF project work that will take place in a setting with hazards such as a lab, theater, or studio will be required to complete the Employee Safety Training Assessment (ESTA) with their faculty mentor to determine which safety training courses are required in order to work where hazards are present. Student applicants will be asked about completion of the ESTA in the Research Compliance section of the application. We encourage students to complete the ESTA with their faculty supervisor prior to submitting their application. Information on how to document completion of the ESTA and completion of the indicated training/registration for upcoming training is available on OUR’s Safety Training page. SURF Mailing List. Students planning to apply for SURF can sign up for the SURF Mailing List to receive helpful application tips via email. We look forward to another excellent set of SURF applications this year! The application deadline is Monday, February 4, 2019. We encourage all students to make use of SURF Office Hours to seek feedback on their draft materials and to ask any questions they might have about the program or the application. SURF Office Hours are scheduled for 1/22, 1/25, and 1/28. Full detail about times and location can be found in the sidebar on the main SURF webpage. • Congratulations, 2019 SHARE Award Recipients! We are delighted to announce the 15 student-faculty teams selected to receive awards for Spring 2019. Congratulations to all award recipients! SHARE Awards support undergraduate research apprenticeships in the social sciences, humanities, and arts, offering students majoring in these fields opportunities to develop inquiry skills and explore research interests early in their college careers. Project Title: Can Inclusive Education Programs Reduce Racial and Gender Discrimination in the Labor Market? Don’t miss out on the opportunity to get valuable research experience this summer. 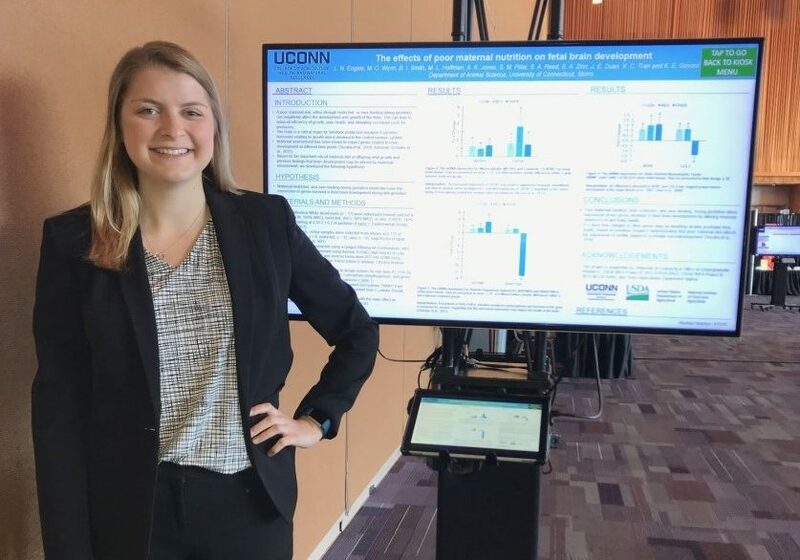 Undergraduate students who are interested in participating in a summer research program should be preparing applications and requesting letters of recommendation now! Check out the following summer research programs with late January and early February deadlines. This 9-week paid summer internship is designed for upper level undergraduate students with an interest in social science research. The program introduces interns to the design, implementation and analysis of large surveys. Students will have the opportunity to learn the principles of survey research from leading practitioners while exploring recent innovations in data collection techniques and the integration of survey data with other types of data. Cary Institute’s Research Experiences for Undergraduates (REU) program provides the opportunity for 8-12 students each summer to conduct ecology research at a world-class institute. Students selected for this 12-week program receive a $6,600 stipend, a $900 food allowance and housing in an Institute dormitory. This 8-week summer internship program is targeted at rising seniors with a strong background in any of the physical, chemical, or biological sciences, mathematics or engineering and an interest in applying their background to the study of the Earth system. Research areas include atmospheric chemistry, air quality, forest ecology, and ocean biology. SARP participants will acquire hands-on research experience using one or more NASA Airborne Science Program flying science laboratories. $5,000 stipend and housing provided. The CHOP Research Institute Summer Scholars Program (CRISSP) is committed to educating and training future leaders in the biomedical sciences, with a special emphasis on advancing laboratory, clinical, behavioral and translational pediatric research. Summer stipend of $4,000 and housing provided. Fermilab’s SIST program offers 12-week summer internships in science and technology. Internships available in physics, engineering (mechanical, electrical and computer), materials science, mathematics and computer science offer a chance for students to conduct research with Fermilab scientists and engineers. The Graduate School of Biomedical Sciences at Memorial Sloan Kettering sponsors a 10-week summer research program for undergraduate students who are interested in the biomedical sciences. This is a competitive program that accepts 20 students. Applicants must have research experience. $6,000 stipend and housing provided. The SAO Summer intern program is a research experience for undergraduates where students work on an astrophysics research project under the supervision of an SAO or Harvard scientist. Undergraduates interested in astronomy, astrophysics, physics, or related physical sciences are encouraged to apply. The 10-week program takes place at the Harvard-Smithsonian Center for Astrophysics. This program provides a short-term training experience in either laboratory research or clinical research. Students will be matched with a faculty mentor and will participate in the mentor’s ongoing research projects. Qualified students with an interest in cancer research are encouraged to apply. $400/week stipend provided to selected students. Six REU internship positions are available for qualified undergraduate astronomy and physics students. These positions provide students the opportunity to conduct independent research supervised by a senior staff member of MMO. $2,000 per month stipend and housing provided. This 10-week summer REU program targets students with an interest in solar and space physics. Students work under the direction of scientists from one of a number of participating institutions, including Colorado’s Laboratory of Atmospheric and Space Physics and the High Altitude Observatory. $500/week stipend and housing provided. Rising juniors and seniors with an interest in neuroscience, cognitive science and biomedical science are encouraged to apply for this summer of supervised laboratory training. $4,000 stipend and on-campus housing provided. This program offers undergraduate students the opportunity to conduct biomedical research under the guidance of a scientific mentor. Paid positions are available at a number of research institutions including Harvard Stem Cell Institute, Sanford-Burnham Medical Research Institute, Stanford University and Wake Forest Institute for Regenerative Medicine. Full descriptions of each research project can be found at the website link above. Undergraduate students who are interested in participating in a summer research or internship program need to plan ahead. December is the time to gather together all the required elements of the applications, including faculty letters of recommendation. All of the exciting summer opportunities listed below have application deadlines in December or January! Check out the programs below and consider if any would fit with your research goals and interests. DAAD RISE gives students in the fields of biology, chemistry, earth sciences, engineering, and physics the chance to spend a summer working on research projects with doctoral students at German universities and research institutions. Interested students must first register online between November 1, 2018 and December 15, 2018. Student application materials must be submitted by December 15, 2018, with letters of reference due December 22, 2018. The Mickey Leland Energy Fellowship (MLEF) is sponsored by the U.S. Department of Energy’s Office of Fossil Energy. It is a 10-week summer internship program that provides opportunities to students who are pursuing degrees in STEM fields. The goal of the program is to improve opportunities for minority and female students in these fields, but all eligible candidates are encouraged to apply. Two summer research programs will be hosted by the University of Vermont’s Department of Neurological Sciences. One is funded by NSF and the other by the National Institute of Neurological Disorders and Stroke (NINDS). Both offer generous stipends and housing. Interested students may apply to only one of the two programs. Details available on the website. This 10-week summer research program is open to students who are college juniors or junior-equivalents (credit-wise) at the time of application and who are interested in pursuing an advanced degree towards a biomedical research career. Areas of research include, but are not limited to: cancer biophysics, tumor immunology, cancer genetics, molecular pharmacology. Selected students will be working in a Roswell Park department alongside professional researchers and graduate students. The Science Undergraduate Laboratory Internship (SULI) program encourages undergraduate students to pursue science, technology, engineering, and mathematics (STEM) careers by providing research experiences at one of 17 participating Department of Energy laboratories. The URP program is designed to give students an opportunity to conduct first-rate research under the supervision of senior laboratory staff in the areas of cancer biology, neuroscience, plant biology, cellular and molecular biology, genetics and bioinformatics, and genomics. Selected students receive room and board in addition to a $5,500 stipend. ThinkSwiss scholarships support highly motivated undergraduates who are interested in doing research at a public Swiss university or research institute. The scholarship is open to students in all fields. A monthly stipend of approximately $1,600 is provided for a period of 2-3 months. Appointments through the Oak Ridge Institute for Science and Education (ORISE) Fellowship Program. Undergraduate students majoring in the applied sciences may apply. Biology and chemistry majors are preferred. Stipend of approximately $2,900 per month for undergraduate students. 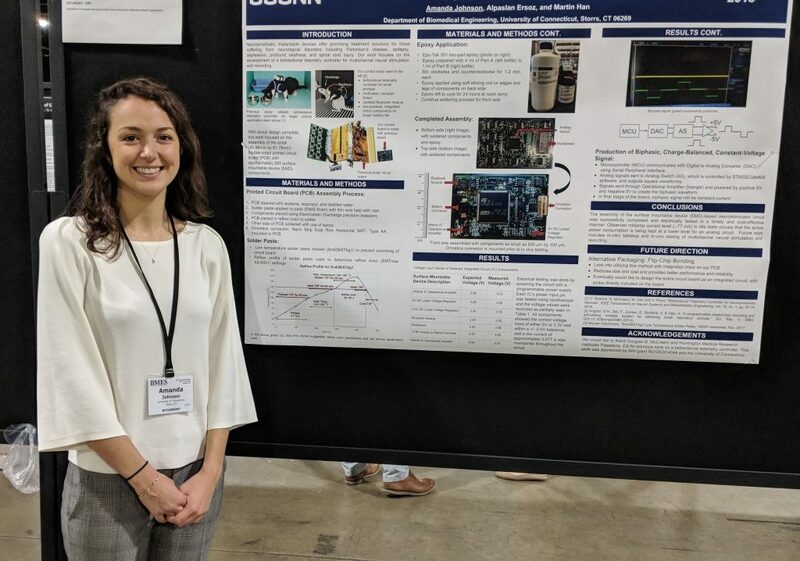 Students selected for this 10-week summer research opportunity will work with staff scientists at the Arecibo Observatory in Puerto Rico on projects related to ongoing research or instrumentation development. Applicants must be a US citizen or permanent resident and must be enrolled in a bachelor’s degree program during Fall 2019. Strong candidates will be students majoring in astronomy, physics, computer science, and electrical engineering. Stipend of $450 per week. The Summer Public Health Scholars Program (SPHSP) is designed for undergraduate students who are interested in public health and biomedical science careers. Applicants must have completed at least two years of college. Students from underrepresented groups are encouraged to apply. Approximately 40 students will be selected to participate. Students will receive a stipend, housing, and round trip travel. The SUPERB Computer and Information Science and Engineering program provides undergraduates with the opportunity to work on research projects focused on using Big Data. This 9-week program is open to rising juniors or seniors who have completed some upper division course work in Electrical Engineering and Computer Sciences. Stipend of $4,500, housing, meals, and $600 travel allowance provided.